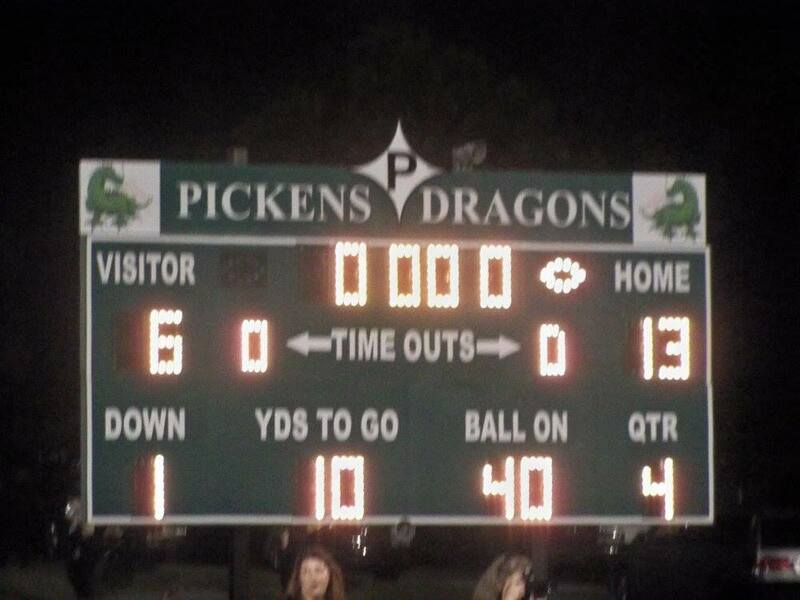 Last Friday night, the Pickens High School football team traveled to Woodstock to take on the 5-A River Ridge Knights. 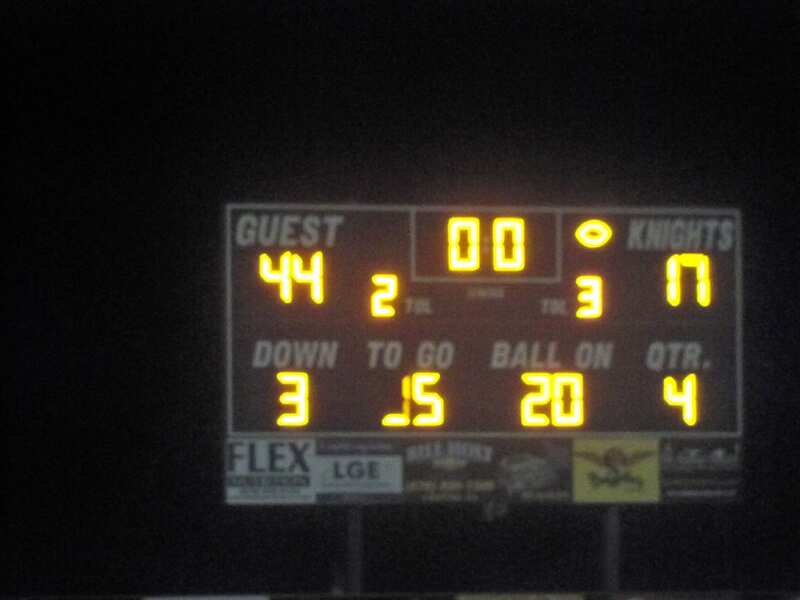 The Knights are a former region foe of the Dragons and the Dragons were victorious the last time these teams squared off. River Ridge won the toss and elected to receive the opening kick. The Dragons defense wasted little time making an impact as Caleb Brooks came up with the interception and almost took it back the other way. PHS would have to settle for a Ty Chastain field goal however as they went up 3-0 with 8:42 remaining in the 1st quarter. Chris Pittman then would add to that lead for the Dragons as he muscled his way in from 3-yards out to give his team a 10-0 advantage with 5:51 still remaining in the opening quarter. One of the main things to work on early in the season is penalties and it would be some costly penalties by the Dragon defense that would lead to a River Ridge field goal making it 10-3 with 2:27 left in the 1st quarter. As the opening frame came to a close, Dillon Gasaway got in to the end zone from 21-yards out to stretch the lead to 17-3 after one quarter. The only scoring in the 2nd quarter would be a 1 yard run by the Knights to cut the PHS lead to just 7, 17-10, with 3:15 remaining in the first half. The Dragons were able to pick off River Ridge for the 2nd time in the opening half, but were unable to do anything with it and took a 17-10 lead into the break. The Dragons started the 2nd half with the ball as Michael Casey nearly took the kickoff to the house. Chris Pittman took it in for his 2nd score of the night giving PHS the 23-10 lead with 11:32 left in the 3rd quarter. To the Knights credit, they came right back and scored on a 58-yard touchdown pass to cut the lead to 23-17 with 10:39 to go in the 3rd. Dylan Huffman scored on a long touchdown run of 39 yards to bring the Dragon lead back to double digits 30-17 with 2:08 left in the 3rd quarter. PHS then secured it’s third interception of the game just before the 3rd quarter came to a close and looked to add more to their score. Just 7 seconds into the 4th quarter, Freshman Trevon Hawkins got in from 10-yards out, adding to the Dragons lead, 37-17 with 11:53 to go in the game. Hawkins added a 2nd touchdown run, this time from 3-yards out giving the Dragons a 44-17 lead as that ended up being the final for this scrimmage. 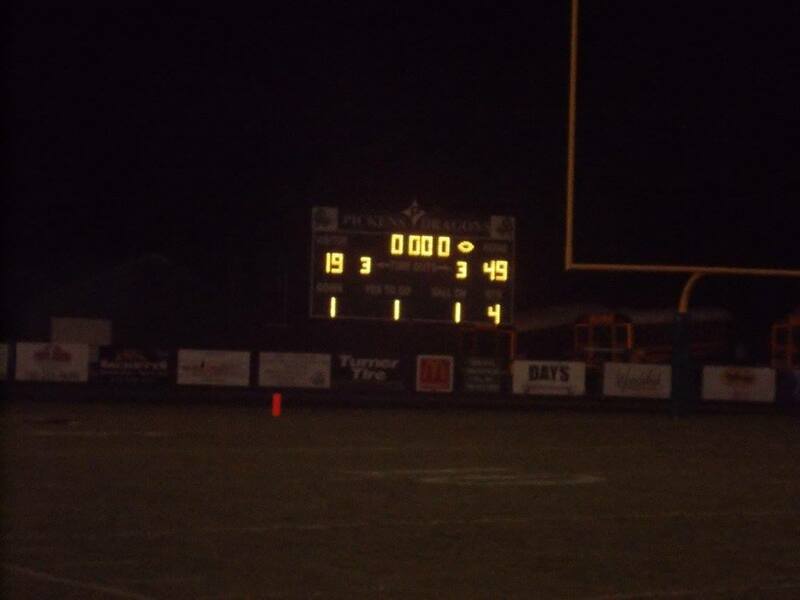 The Dragons will now prepare and work on things for the season/home opener against non-region opponent, White County. This opening game will be on the 28th of this month at 7:30 at Dragons Stadium.